This frame had a 360′ crack on a chain stay and a crack on a seat stay. Chain stay crack was pretty bad – chain stay disconnected from the joint and edges chipped off therefore it was hanging lose. It was even more lose as seat stay cracked on the same side. Frame had to be placed in the jig and realigned. Frame been repaired and it is back on the road with one year warranty. According to our client, this frame has been involved in a road accident. Right chain stay and left seat stay had cracked. 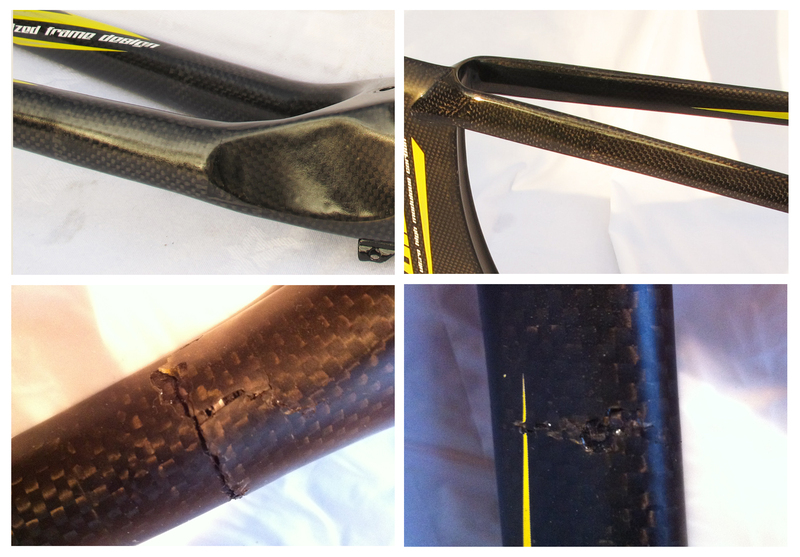 Frame has been repaired and matching texture of carbon fiber has been applied. Down tube has been repaired and as usually covered with “carbon friendly” paint and varnish. SLC01 is hitting the road again. Here is a third out of four BMCs. Down tube – repaired. Paint job – restored. It is one of four BMCs which had a down tube been cut and repaired. Unfortunately we’ve lost images of the damaged area, but you can still have a look at repaired frame. Recently we have received four BMCs with an identical cut on a down tube. 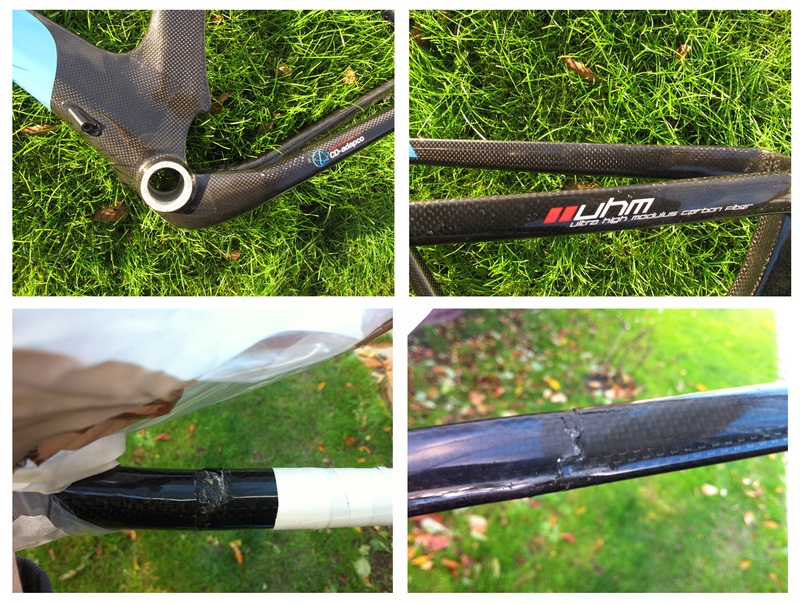 Take a look at “before and after” images of repaired frame.